The name implies it, and that's exactly what you can expect from this Mexican take-away located in the heart of the city. 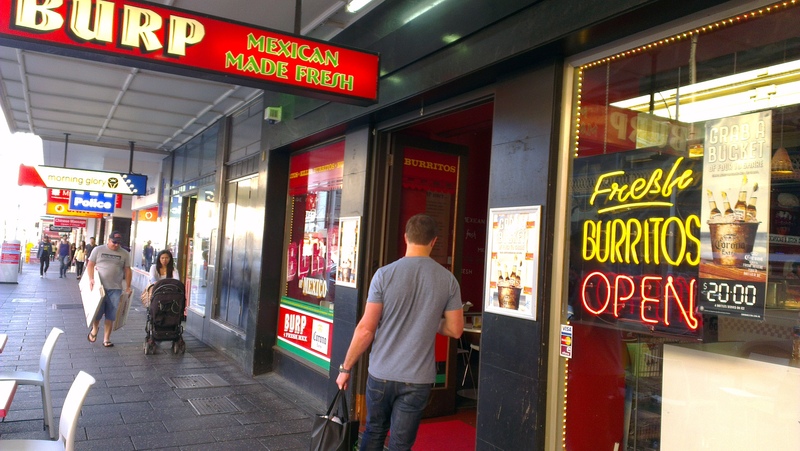 Located at Hindley Street, you know for sure it's Mexican and something's going on whenever you walk past its ajar doors. The aroma is so overwhelming until finally, I couldn't resist and stepped inside. However, you may also choose to dine alfresco, but I wouldn't recommend that, seeing that it's beside a busy street, and Hindley street isn't exactly renowned for its cleanliness. 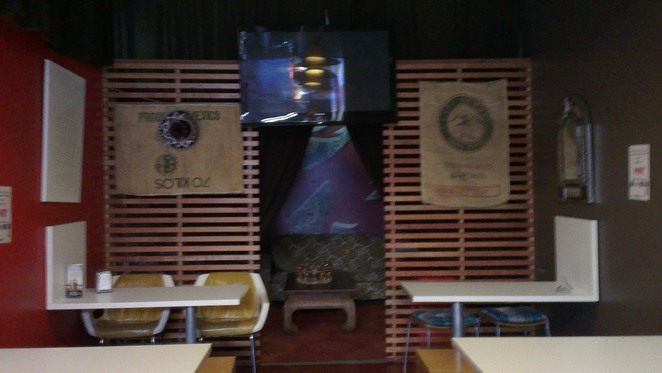 Once inside, the interior art and decor can be described as eclectic and gives off an ambivalent feel. It is a takeaway restaurant, but you would find it comfortable, too, just sitting down to slowly enjoy your meal. There's even a room at the back for those who want to have some private time while getting a drink, but it does give a mysterious aura from where I was at the counter. One thing I would commend about this place is the way Burp champions its history and tradition. Advocating values like dignity, justice and valour may sound cliched, but somehow, it sounds so right, and before you know it, I'm sold to its story and legend. 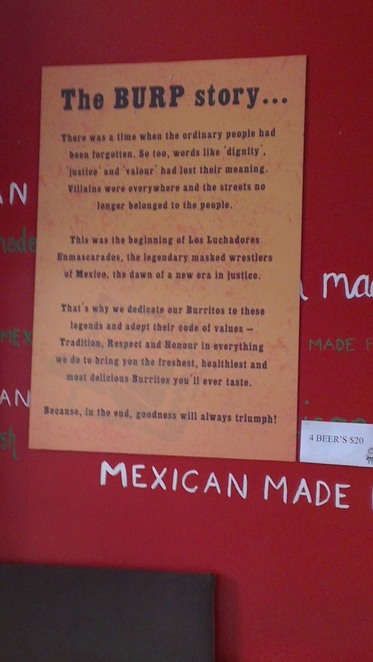 Next time you're here, grab their take away menu, the back page provides some back stories to their burritos and the fabled masked wrestlers of Mexico. I went for a $3.50 taco, filled with cheese, crispy lettuce & some salsa sauce (chilli con carne is the alternative). 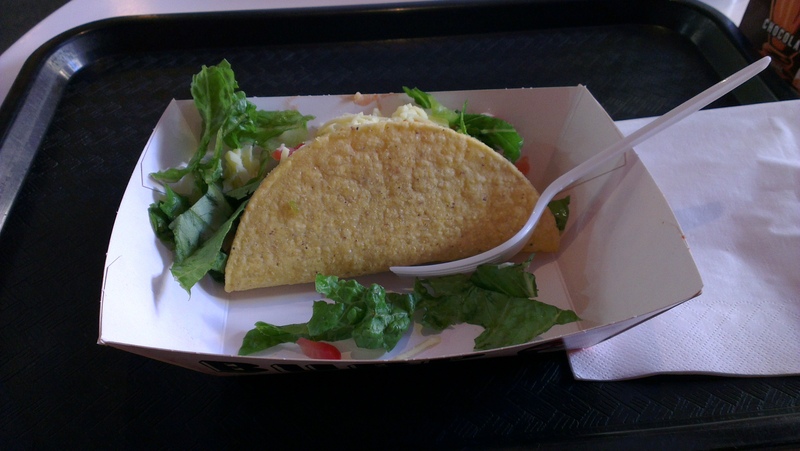 It's a nice blend of crispy taco meshed with the soft ingredients, but somehow, I found it a bit wanting in terms of flavour. Maybe it's because of my Malaysian roots, but I found it a bit bland. I'll probably come back & attempt something really hot next time. 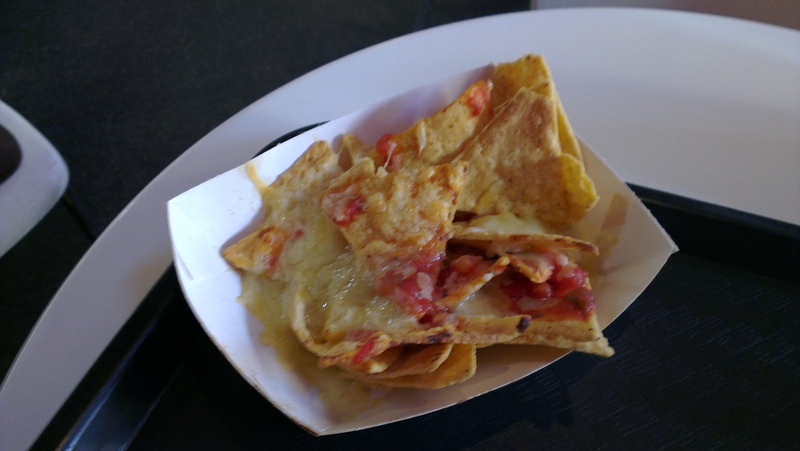 To compliment my lonely taco was a $5.50 plate of crispy corn nachos topped with warm cheese. The menu says creamy, but it wasn't the case here. For the price, it's also a rather small serving. However, that shouldn't put you off from trying these, along with their burritos ($8.50) and quesadillas ($7.50), which I'm saving for the next occasion. For an additional dollar, you can also add hand-made guacamole, grilled chorizo sausage, creamy sour cream, or more cheese. Overall, it's not a bad place to have a quick meal, and it's also an alternative to standard Western fast food. My 4 wishes for this place though: lower prices, bigger servings, more flavour, and maybe a masked wrestling match for entertainment. And in case you're wondering, the "B" word came shortly after I left. Guess I can give credit for living up to its name. Thanks Justin, a most informative article.